Karangetang (Api Siau) volcano is one of Indonesia's most active volcanoes. Located on the remote Api Siau Island north of N Sulawesi, it is notorious for building lava domes and producing dangerous pyroclastic flows. Explosive. Formation of lava domes and pyroclastic flows. Our correspondent Andi reported that the recent lava flow, which had crossed the coastal road near Batubulan village and created a new sea delta, has now stopped. Intense gas emissions are still occurring from both the main and the recently active north crater, where a lava dome can be seen (s. image). 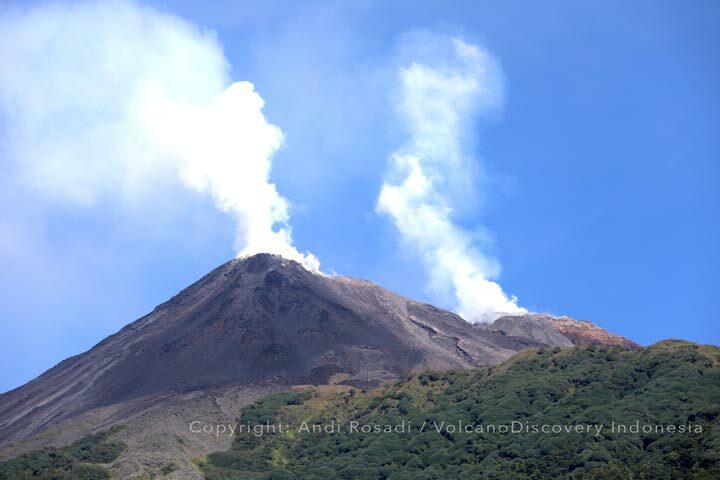 Whether the eruptive activity is only pausing or can be regarded as ended is still unclear. The evacuated people from the village, which is now only reachable by boat, as the lava flow cut the road and destroyed a bridge, are still not allowed to return from the evacuation shelters. Tours to active volcanoes: Watching a volcanic eruption is one of the most impressive natural displays. We have a wide selection of tours to active volcanoes worldwide at different activity and difficulty levels. 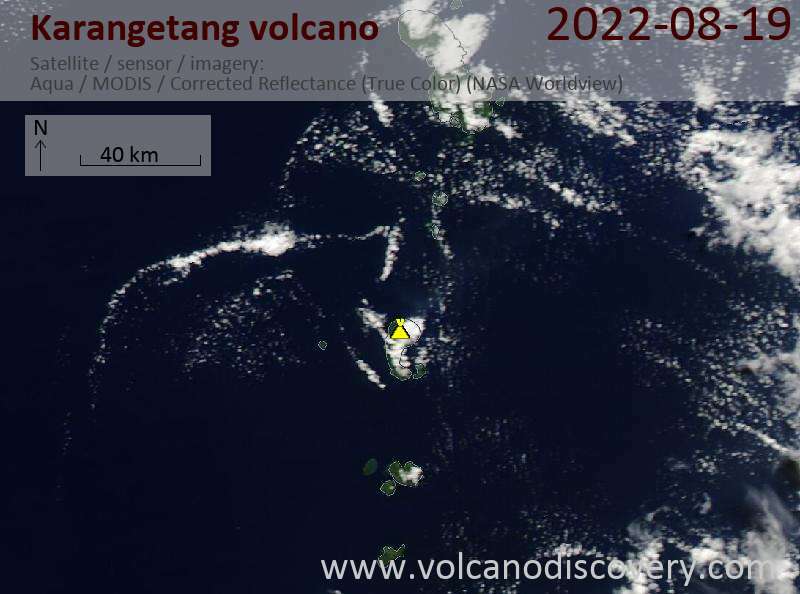 Krakatoa explodes: In the afternoon of 17 Oct, a particularly violent explosion occurred at Anak Krakatau, blasting away a portion of the southern crater rim. A similar event might have been the final trigger for the catastrophic landslide that let the cone collapse and cause a devastating tsunami on 22 Dec 2018. 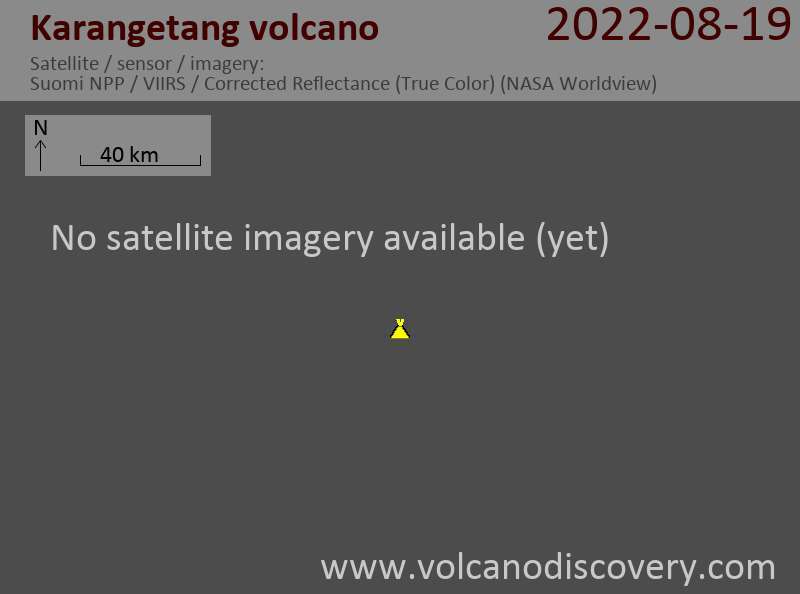 Recent volcano satellite images: Browse quickly through the latest satellite imagery from volcanoes all over the world in order to spot ash clouds and hot spots.